It is the year 2016, and just as the past several years have shown, this year technology takes a more prominent position in advertising media. Advertising Age, the long-running authority in all things advertising, has released their digital predictions for the year 2016. In their recent article, appropriately titled Ad Age’s Digital Predictions 2016, they cover many of their thoughts on the rise to prominence or fall to irrelevance of many of today’s popular digital media. In the article, they cover thoughts on texting, virtual reality, and 360-Degree video. Most of it is only mildly interesting where our business is concerned, but they make a point worth noting. Tim Peterson predicts a rise in the use of Facebook Messenger as a channel for businesses to acquire new business, and utilize the service as a way that businesses and their customers might communicate with each other more efficiently. Peterson estimates that Facebook will find a way to charge companies for the privilege of using this service to connect with the vast network of people that are growing increasingly more comfortable with Facebook Messenger as a communication tool. It is an interesting thought. Is there really an advantage to choosing Facebook Messenger over the plethora of options that exist today for communicating between customer and seller? What about email, or website chat applications, or a telephone? Certainly there is an appeal to connect to the over 1.2 Billion members of Facebook, and everyday I hear from business owners that they feel it is important to be more visible on the social media giant. It seems that people know that there is some very big potential in harnessing the power of Facebook, but no one knows exactly how to do it very efficiently yet. No one, that is, except Facebook. They take in billions in revenues from advertisers each day who hope to reach new audiences, and therefore new potential customers. They tell a great story about why you should invest your advertising dollars with Facebook. I guess you could say I am just not convinced yet. Do I feel there is great potential in digital advertising with Facebook? Yes. Would I recommend to a client that Facebook is a better investment of advertising dollars over more traditional forms of media? Not right now. 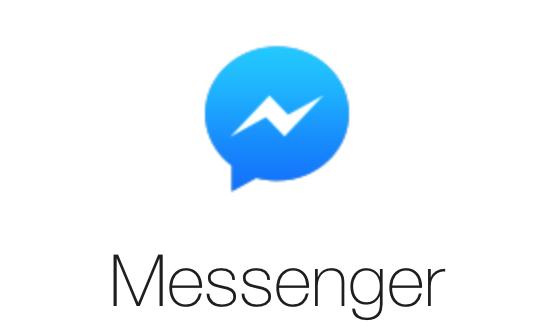 Do I think that Facebook Messenger will become an indispensable tool for communicating with customers? No.